This first-day cover from October 24, 1932, is pretty cool. 2. 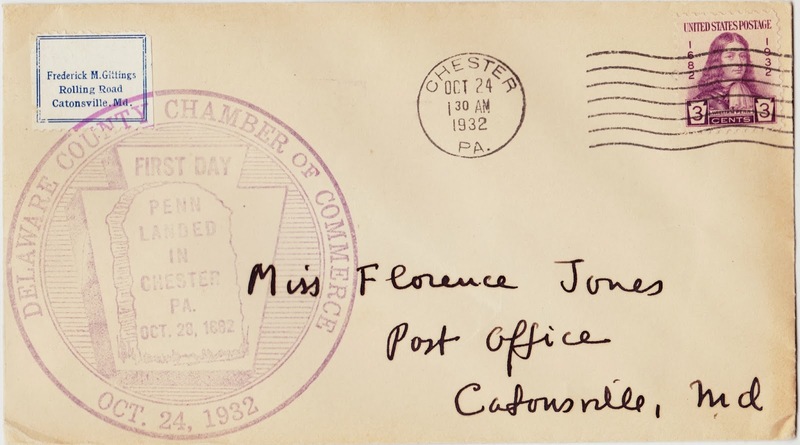 It was postmarked at 1:30 a.m. on October 24, 1932, in Chester, Pennsylvania. I suspect many of these prepared covers were postmarked at 1:30 a.m. There's an eBay auction for one right now. 4. 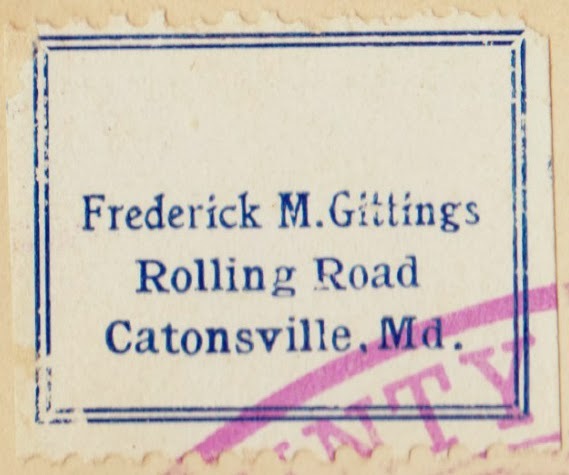 This cover was mailed by Frederick M. Gittings of Catonsville, Maryland, (who had a nifty return-address label) to Miss Florence Jones, also of Catsonville.